Mayor Tracey Roberts is a passionate and active community member committed to supporting safe, connected communities for residents and visitors to enjoy. She maintains a very strong focus on community engagement, economic development, lifestyle impact and choice for the City’s 210,000 residents. Tracey is a full-time Mayor who is intensely involved in the strategic leadership of the City, including resource allocation and financial management of the City’s $200 million budget and $2.6 billion of assets. Tracey consistently advocates for local employment opportunities, community safety and the infrastructure required to service the City’s growing population. 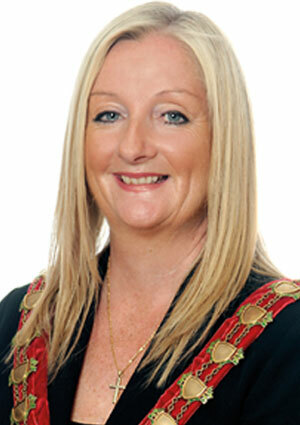 This is supported by her committment to delivering quality local facilities and services for residents. Tracey is Patron and committee member of many clubs and volunteer groups. When her busy schedule permits, she enjoys spending time with her family and friends. She is proud of the City, its heritage and of the Pioneers whose hard work, resilience and determination laid the foundation for what has become one of Australia’s largest growing cities. Do you have an issue you want to discuss with Mayor Tracey Roberts JP? City of Wanneroo Mayor Tracey Roberts makes time every Tuesday from 10am to 2pm to meet with residents of the City of Wanneroo. To book an appointment please contact the Office of the Mayor on 9405 5654.